You know, some days, eating is just eating. Then there are the meals spent at IHOP. 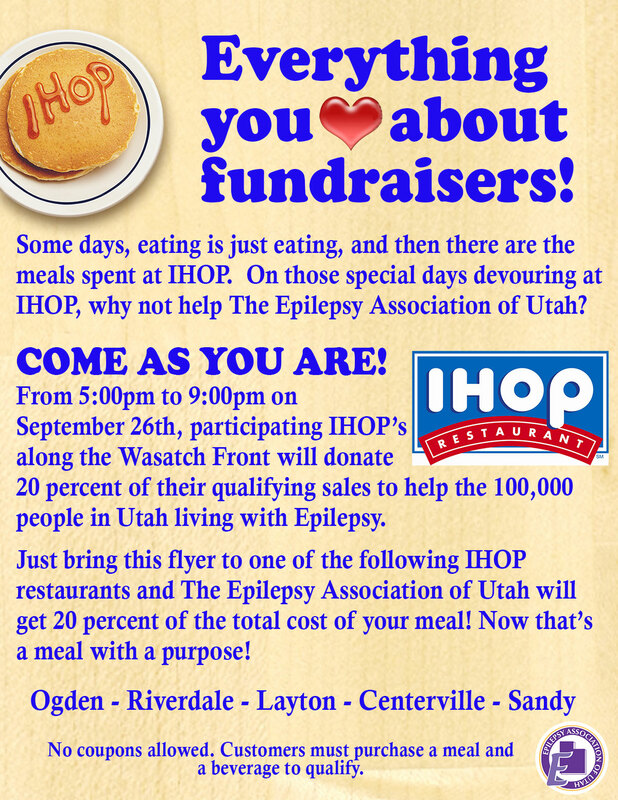 On those special days devouring at IHOP, why not help The Epilepsy Association of Utah (EAU)? 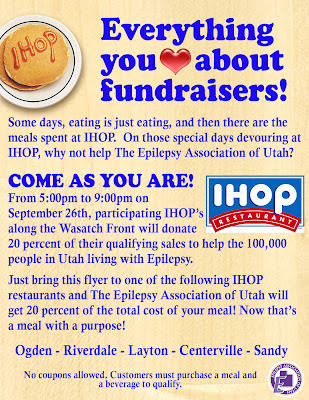 From 5:00 pm to 9:00 pm on September 26th, particpating IHOPs along the Wasatch Front will donate 20% of their qualifiying sales to help the 100,000 people in Utah living with Epilepsy. to one of the following IHOP Restaurants and the EAU will get 20% of the total cost of your meal! Now that's a meal with a purpose. This September 26th from 5:00pm - 9:00pm IHOP will donate 20% of their sales to The Epilepsy Association of Utah. All you have to do is print out the flyer to the right, take it in to one of the Participating Restaurants, present it to your server when you order your meal with a beverage and IHOP will send us a check for 20% or your total bill. How cool is that? Help us, while enjoying a meal with family and friends!